As a stamp collector and blogger, I regularly visit a TON of stamp-related websites. Over the years, I’ve found several websites that I go back to over and over again, because they’re just that good. 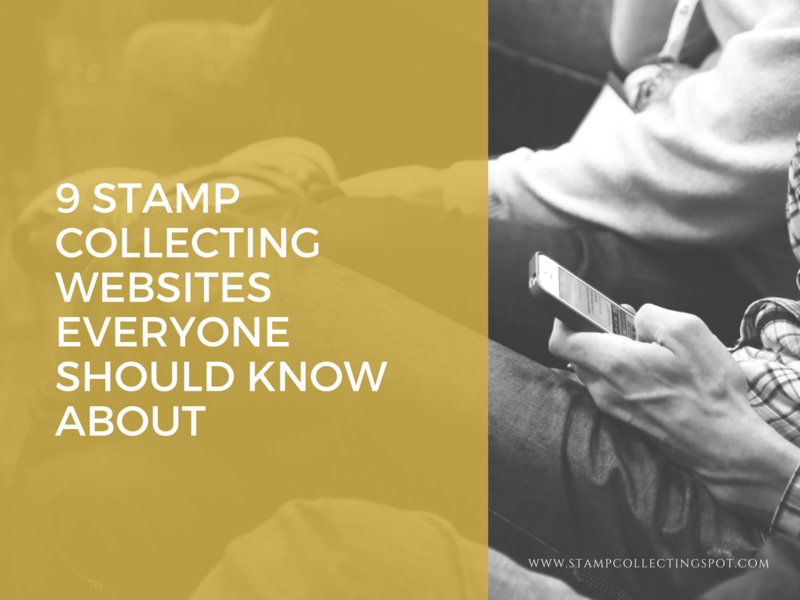 I realize that lots of stamp collectors have no idea some of these websites even exist. That’s really too bad, since the knowledge you can get from these sites is almost unimaginable. I want to share these sites with others, because without them I think you’re really missing out. If you collect stamps – which I’m sure you do if you’re reading this – Stamp Smarter is a site that you cannot miss. Stamp Smarter includes tons of amazing features. The pop-up stamp finder is one, which allows you to input any Scott number and it will return a picture of that stamp with a description. At this time, the pop-up stamp finder works for both United States and Canadian stamps. Another feature is the US Plate Number Tool, which allows you to input any plate number of a United States stamp, and it will return the Scott catalog number of that stamp just based on the plate number. This is an extremely useful tool for stamp buyers when buying a plate block that may or may not be correctly identified. By putting in the plate number on the plate block, you can see whether the seller identified it correctly or not. Of course, you can use this tool to correctly identify your own plate blocks as well. 1847USA is by far one of the most useful tools offered by Stamp Smarter. 1847USA helps you identify and learn about United States stamps. The identification aspect alone is extremely comprehensive and has proven very beneficial for me over the years. Stamp Smarter also has a World Stamp Identifier, which is a really handy identification tool for collectors of worldwide material. An extensive list of How To articles provides an excellent resource for new and advanced collectors alike. The topics covered in the how to articles range from how to buy stamps online, to how to extract stamp image colors, and much more. Another great feature is listing reviews. Stamp buyers using eBay should definitely check this feature out, since it gives tons of reviews of eBay stamp dealers. Educating yourself on who to trust and who not to trust can save you tons of money and hassles. I’ve only covered a very small portion of what Stamp Smarter has to offer. There are many other useful features, but if I were to list them all here it would take forever. Whether you’re just a beginner in the world of stamp collecting, or a seasoned veteran, I have no doubt that you’ll find Stamp Smarter to be a valuable resource, just as I have. The American Philatelic Society (APS) is the largest non-profit organization for stamp collectors in the world. Founded in 1886, the APS serves collectors, educators, postal historians, and the general public by providing a wide variety of programs and services. The APS website has lots of useful stamp collecting information along with programs and services. The APS monthly newspaper, the “American Philatelist”, is published online for members of the APS. For those interested in furthering their philatelic knowledge and career, joining the APS is a must. Stamp World offers many features, such as identification for hundreds of thousands of worldwide stamps, and estimated values for these stamps as well. People can also buy and sell stamps at Stamp World. Stamps2Go is a buy and sell stamp marketplace, where people can browse through stamps for sale by Scott number, or sell their own stamps. Stamps2Go can be a great alternative to eBay if you’re searching for a specific stamp that’s not well represented on eBay. Linns Stamp News is a weekly stamp news magazine. You can stay up to date with all the latest philatelic happenings, and pick up some great philatelic knowledge as well. The Swedish Tiger is a website that helps with identifying United States stamps. It also gives their values, which is a very sought-after feature on stamp identification websites. The Swedish Tiger also includes a section on Great Britain stamps, which is still a work in progress. If you want to know what an old US stamp in great condition is worth, this is the place to look. USPhila provides thousands of records of auction prices realized for old and valuable United States stamps. Although, you should keep in mind that the stamps shown on USPhila are of excellent quality, and many of them are certified. So if you have one of the stamps listed on USPhila in your collection, it’s only worth those high prices if it’s in pristine condition. 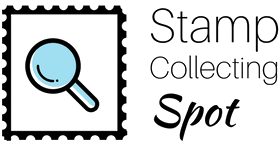 Stamp Collecting Blog is run by a worldwide collector who blogs about a wide array of philatelic topics. The full length articles are only available for subscribers though, but if you’re serious about collecting and learning something new every day, it might be a good idea to become a subscriber. Blog timbrofil is authored by a worldwide stamp collector. The blog is written in Romanian, but for us non Romanian speakers Google Translate will take care of that. 😉 The topics covered within the blog vary widely, and I learned a lot after just reading a few. Of course, there are many other stamp collecting websites, but these are the ones I most frequently visit. I feel that they all offer some real value to collectors, and are all-around excellent resources. Which stamp websites do you feel offer great value? What are some good ones that I haven’t mentioned? Feel free to share some of your favorites — I’d love to hear from you! It was definitely deserved. You’re blog is great! The information you have given about Stamp Smarter is a commendable compliment. It is very important to know about the use of the stamp. We cover almost 10K stamps in our database and we’ll soon be opening up for our members to submit new entries. Let us know what you think! I checked out your site (and signed up). It seems like a neat idea, but certain functionalities are missing that I’d like to see implemented. For one thing, I would suggest having the option to create an account other than having to sign up with Facebook. I would also streamline the want lists/collections, perhaps by allowing members to print them as a spreadsheet (or whatever) making it easy for members to take their want list to a stamp show, for example. I would also suggest placing links to these pages (want list and collection) in the menu for logged-in users. And of course, members must be able to submit their own stamps, so I’m glad you’re working on that. I am the maintainer of “Stampforgeries of the World” (http://www.stampforgeries.com). Forgeries are unfortunately a big part of our hobby, and as such we should work to educate especially new collectors about the dangers herein. I look forward to seeing more about this subject on your website. I agree, all collectors should familiarize themselves with forgeries. Your site looks like an awesome resource! Thanks for sharing. I will definitely look into publishing articles about forgeries on the blog. I trust that you are well, and thank you for your article, which directed me to some other Philatelic websites. Thanks for sharing your website. You have obviously spent a lot of time adding your very impressive collection! Do you have future plans to focus on something specific, such as turning your collection into an online catalog, or something else entirely? Seems like a good foundation on which could be built a valuable tool, for example. Indeed yes I have spent much time building our collection, and as yet have not even focused on marketing our website. You are also correct in saying that this is our foundation for what is to follow. In terms of turning our collection into an online catalog, I am not sure I have the necessary knowledge & skills yet to do something like this, but I am quite sure that my skills have developed in the last year. For now, I will be looking at growing an interested following and in time I will be adding related products for purchase (possibly through Affiliate Marketing). I might even looking at a buying & selling of stamps aspect, but find that that may require too much of my time. As to marketing your website, perhaps you’ll consider listing it on the directory as a start, which is free of charge. You will need an account in order to do so, but that is free as well. For growing a following, I would suggest getting on Twitter, Facebook and Instagram if you haven’t already, and being active on those platforms. I would also put a lot of focus on SEO for your blog posts in order to increase organic search traffic. Wishing you success with your website! I look forward to seeing its progress. It is a volunteer run website with members from all over the world. Free to join but nonmembers can look through the articles and discussion board. Join and you can take advantage of the fantastic auction and approval books available online. The depth on knowledge and willingness to share information make Stamporama a great resource. Yes, Stamporama is a great resource! I have visited it many times, and included it in my list of the best stamp forums. 1847USA does not seem to exist any more. I’ll miss it. You’ll be happy to hear that 1847USA does still exist, and it’s even been improved upon. It was simply moved over to StampSmarter. I have plans to update the post soon, and will be sure to include your link. I would like to advise you to visit https://www.francobolliefilatelia.com. It’s an italian website with a lot of details about the new philatelic issues and news about italian, vatican e stamps of San Marino. An online catalog about italian barcoded stamps is also available in the Francobolli e Filatelia website. Thank you, John! It was nice meeting you at Summer Seminar. I’ll definitely check out your site! Not sure how you left StampAuctionNetwork.com off this list. It has 1.2 Billion of Prices Realized and current auctions of 95% of the Stamp Auctions worldwide. You forgot stampcommunity.org. One of the busiest and family friendly forums out there. Don, owner of StampSmarter has been a moderator there for years. Great work Ian. Am I allowed to mention my website, http://www.koalastamps.com where I offer for sale an extensive (although not yet complete) coverage of Pacific (Oceania) countries. I focus on it being a friendly and easy to use website, with large images and accurate descriptions. I also have plans to expand with listings for Europe and Asia. Would love for you to visit the site and review / comment. I do apologize for my late response. Of course you are allowed to mention your site. I had a look and think you’ve done a fantastic job with it. I am impressed with the number of listings on it! I found it very user-friendly, with clear navigation and useful filters.